If you are interested in luxury laptops and automobiles, VAIO has a treat for you in the form of the new VAIO Z Mercedes Benz Collection 13.3-inch laptop. 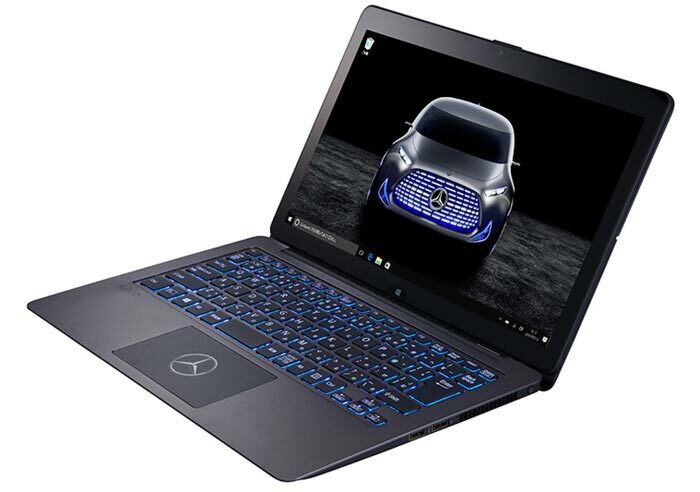 We have seen laptops with branding and livery from the likes of Lamborghini, Ferrari, and Porsche previously but this is the first Merc laptop that I can recall. Unfortunately this Mercedez Benz laptop doesn't bring anything really new to the market, other than various branding and design flourishes. 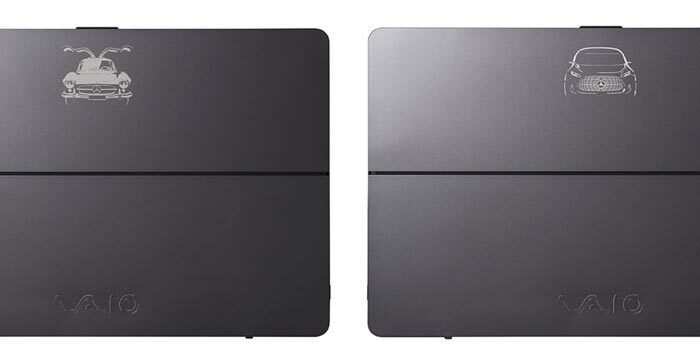 As Liliputing points out, the hardware beneath the branding extras is the very same VAIO Z Flip 13.3-inch laptop that launched in Japan and USA over a year ago. The underlying hardware is compact and appealing; you can choose from Intel's capable Skylake processor options and there is a 13.3-inch, 2560 x 1440 pixel touchscreen display. Living up to its 'FLIP' name there's a hinge behind the display which lets it flip to face away from you. 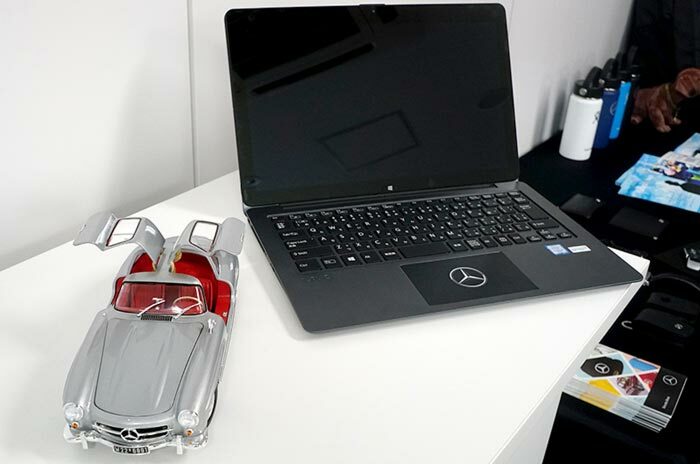 Moving onto the 'special' Mercedes Benz features, there are multiple logos, insignia and designs from the automaker here and there around the laptop as you can see in the images. There are two design variants to choose from; one featuring the Vision Tokyo concept car, and the other featuring a classic Mercedes Benz 300SL. 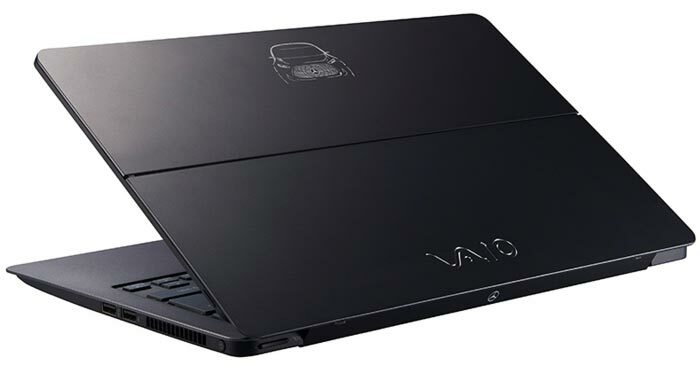 The VAIO Z Mercedes Benz Collection 13.3-inch laptop has one more automotive enthusiast trick up its sleeve; it offers a Mercedes Benz boot up sound as embedded below. In Japan this new luxury convertible Intel Core i7 laptop is listed on Amazon for between ¥250,000 and ¥285,000 ($2,232 to $2,545). However the non-Mercedes edition, identical except for the fripperies mentioned above, can be bought in the US at $1,299 from the Microsoft Store. The premium for a few etchings plus the vroom-vroom boot up sound seems rather high. All it needs now is a video advert to the tune of “Lord, won't you buy me, a Mer-ced-es Benz”. Actually, maybe *that* should be the startup sound? Wow, and here I thought the previous Ferrari and Lamborghini PCs were tacky. This … takes it to a whole new level. And that car on the desktop background looks like someone told a sci-fi artist to paint a cyborg deepwater fish or something. Eugh. And the Mercedes logo on the touchpad? Give me a break. How about reviving the Trabant name or even the Moscovich for those old enough to remember it. Maybe for a more recent car how about a Dacia laptop. I love these car laptops. I'll never buy one but I love that they exist.